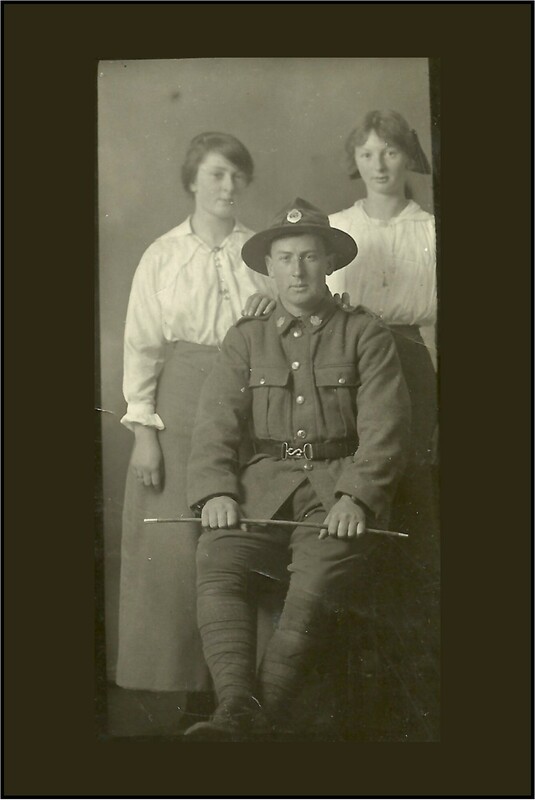 Enlistment portrait: Eric Andrew Gray (20 October 1895 – 27 March 1918), with sisters Doris and Ethel Gray c. 1916. 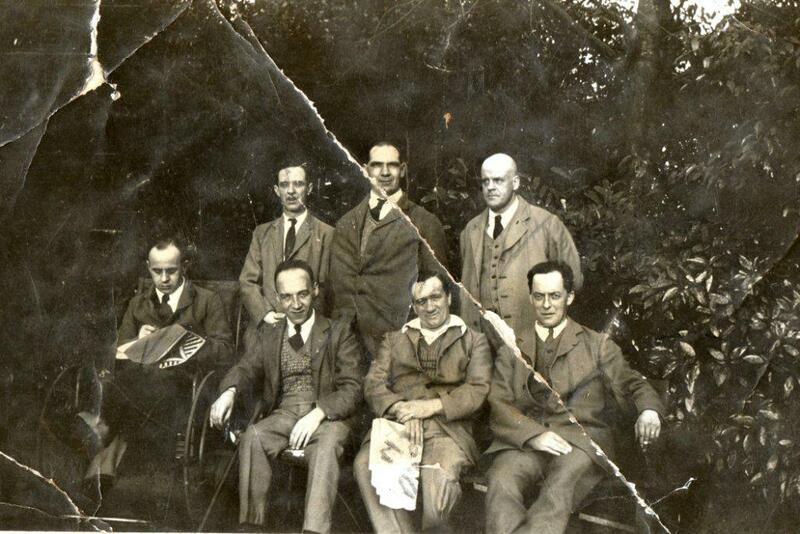 Image: Gray family archive (courtesy of Peter Duncan). Today is ANZAC day; the day that New Zealanders and Australians commemorate our countrymen and women who have died in wars, and honour our returned servicemen and women. The date marks the first landing of Australian and New Zealand troops (ANZACs) on the Gallipoli Peninsula in Turkey; 25 April 1915. The ANZACs were part of a larger Allied force comprising also British, French and other Commonwealth troops which aimed to capture the Dardanelles (strategically, the gateway to the Bosphorus and the Black Sea) from its Turkish defenders. Landing at Anzac Cove, Gallipoli, Turkey, in 1915. Photographer unidentified. Source: Alexander Turnbull Library. The campaign lasted eight months; cost over 130,000 lives (Turkish and Allied) and ended with the exhausted and depleted Allied armies withdrawing from the peninsula in December 1915, having totally failed to achieve their objective. Enlistment portrait; Wallace Oliver Gray. c. 1917. 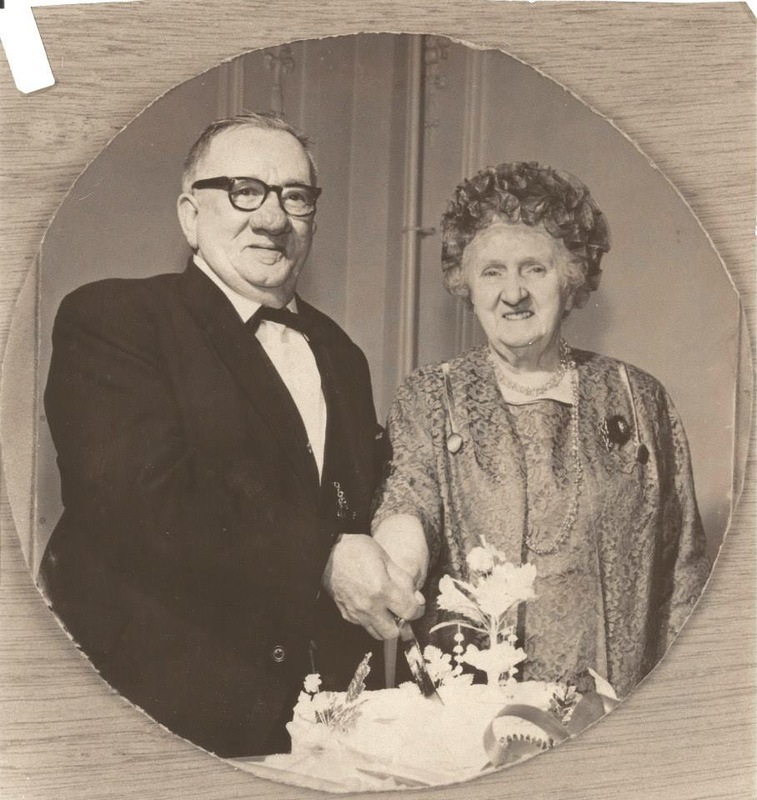 Image: Gray family archive (courtesy of Peter Duncan). I’ve since discovered that Wallace’s wife, Merle Wright, had two brothers who served also; Henry Marshall Wright (1891-1915) and Fred Nathaniel Wright (1894-1972). Henry (Harry) Wright’s military service is particularly poignant here, as he died in the Gallipoli campaign — on 7th August 1915, at Chunuk Bair. Most New Zealanders will be familiar with the name Chunuk Bair. Geographically, it is a hill on the Sari Bair ridge, Gallipoli. Map showing Sari Bair offensive, Gallipoli 1915. Source: “Sari Bair offensive, August 1915 map”, New Zealand History. Militarily, it was a strategic objective. Troops from the New Zealand Mounted Rifles Brigade and Maori Contingent were ordered to take and hold the hill against the Turks. Militarily, it was a five day battle that ultimately failed; costing (officially) 849 New Zealanders’ lives, with a further 2500 men wounded (Counting the cost of Chunik Bair, Stuff, August 8 2015). Overall, there were an estimated 30,000 casualties, Turkish and Allied. Valley leading out of Chunuk Bair; rocky, exposed, barren and hot. 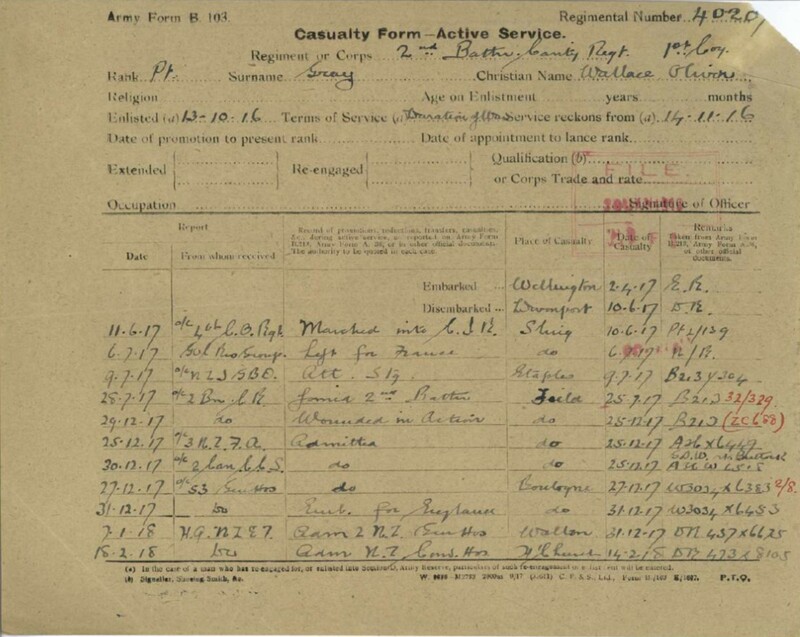 Image Source: Australian War Records Section, Australian Memorial. Culturally, Chunuk Bair has become synonymous with Kiwi fighting spirit, bravery, and endurance against the odds. It was the only piece of the peninsula the Allies managed to capture beyond what they occupied in the April landings. The Kiwis held Chunuk Bair for two days before being ordered to withdraw. Born in Ohoka, Canterbury, on 19 August 1891, Harry Wright was the eldest of eight children born to Sidney Robert Wright and Jessie Susan Harris (about whom I’ve written a little here). His younger sister, Merle Matilda Wright would become my son’s great grandmother (marrying Wallace Gray in 1926). When he left for Gallipoli, on 17th April 1915, Harry was a 1st Lieutenant in the Canterbury Infantry Regiment. 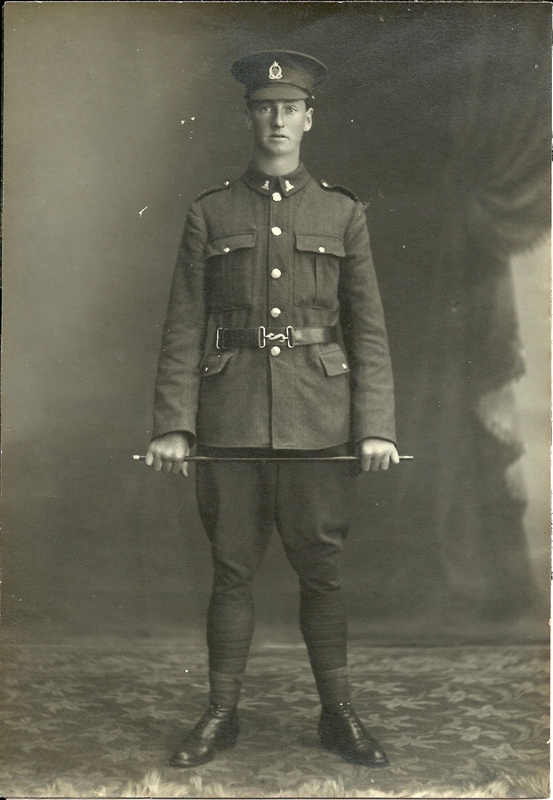 He had enlisted in the regular army on 24th November 1914, aged 23, having already been a member of the Territorial Cadets since his school days at Christchurch Boys High School. Portrait of Harry Wright from the Auckland Weekly News, 1915. Source: Online Cenotaph record. He had been commissioned as a second-lieutenant in the coast defense detachment of the Canterbury Regiment in 1912 and in 1914, was promoted to 1st Lieutenant — apparently in preference to another officer who “should” have received the promotion. 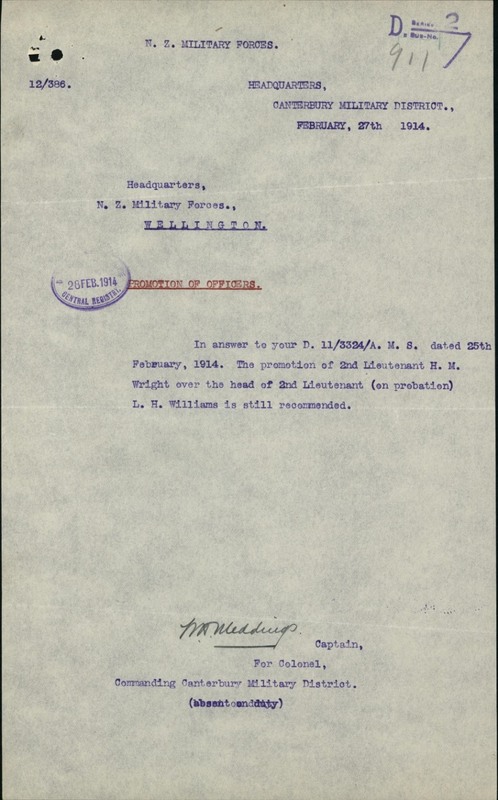 Letter confirming the promotion of Harry Wright, 1914. From Military Service Record, held at Archives New Zealand. According to his military records, at the time of his enlistment, Harry Wright worked as a treasury clerk for the Christchurch City Council. He was unmarried, five foot nine and a quarter inches tall, weighed 154 pounds, had a dark complexion, brown eyes and hair, and had a scar on his chin. I’ve read several accounts of the Chunuk Bair offensive, including that from the official history of the Canterbury Regiment, published in 1921. At the risk of taking information out of context, I think it is worth quoting from this document which shows the whole assault to be confused and problematic. The task of the Canterbury Battalion was to … attack the Turkish trenches on Rhododendron Spur from the west … After these trenches were captured, and the two columns of the brigade were in touch, the Canterbury and Wellington Battalions were to attack the summit of the Sari Bair Ridge … with the peak of Chunuk Bair inclusive to Wellington and on the latter’s extreme right. The time necessary for the Mounted Rifle Brigade to clear the entrances to the ravines having been under-estimated, there was considerable congestion and confusion… so that it was 1 a.m. (on August 7th) before the Canterbury Battalion was (in position) … whereas according to the time-table for the attack … the battalion should have reached the Dere before 11 p.m (August 6th). There had been no opportunity for reconnoitring the ground over which the advance was to be made … on the afternoon of the 6th. Consequently the advance … was difficult, and the difficulty was increased by the darkness of the night. The battalion lost its way completely in a branch of the main ravine, and had to retrace its steps. On the battalion turning about, the 12th and 13th Companies, at the rear of the column, received a garbled version of the Commanding Officer’s orders to return to the main ravine, and thinking they had been ordered to go right back to Happy Valley, did so. The remainder of the battalion picked up its bearings again and moved up … to Rhododendron Spur. A great deal of time had been lost, and it was now beginning to get light. Pushing on up Rhododendron Spur, the battalion about 5.45 a.m. came in touch with the Otago Battalion, which, in spite of the fact that it had already been heavily engaged at Table Top and Bauchop’s Hill, had taken three lightly held Turkish trenches on the Spur. The 12th and 13th Companies left Happy Valley at dawn … and had little difficulty in re joining the battalion on Rhododendron Spur. By 8 a.m. the New Zealand Infantry Brigade had reached positions which were practically on the site of the front line of the trench system held by us on the Spur till the evacuation of the Peninsula—Wellington on the north, Otago at the eastern point, and Canterbury on the south. Here the brigade dug in, under very heavy rifle and machine-gun fire, especially from Battleship Hill, and from a trench on a spur north-east of Chunuk Bair. At about 9.30 a.m. the brigade was ordered to assault Chunuk Bair, and as neither the Auckland Battalion nor the 10th Gurkhas had been heavily engaged up till now, these battalions were selected for the attack. On their advancing at 11 a.m., they immediately came under heavy fire; and though the Auckland Battalion reached a Turkish trench about a hundred and fifty yards east of our most advanced positions, its casualties were so heavy that it could get no further. 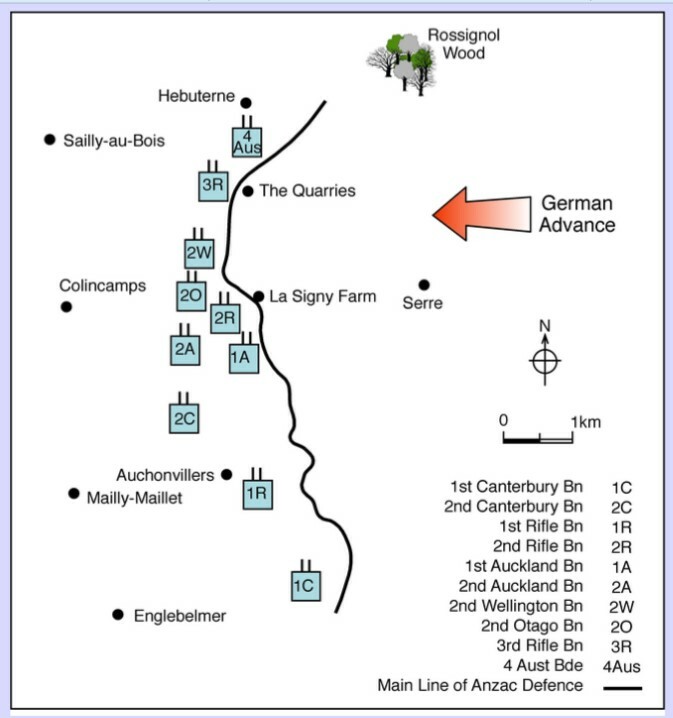 At 12.30 p.m. the Canterbury Battalion received orders to hold its trenches with half the battalion, and with the remaining half to support Auckland in a new attack. The 1st Company was left to garrison the trenches … and the remainder of the battalion moved forward and lay down in the open. It at once came under heavy shrapnel fire from the left flank and suffered severe casualties, losing one officer killed and six badly wounded, in addition to three officers previously wounded. Like many who died at Gallipoli, Harry Wright has no marked grave. He is remembered on the Chunuk Bair (New Zealand) Memorial within the Chunuk Bair Cemetery at Gallipoli — a young man with a bright future; a second-generation Cantabrian who volunteered to travel across the world to fight for an empire his working-class grandparents had emigrated from in search of a better life. A young man who never had the chance to grow old. The title of this post is a line from the Laurence Binyon poem For the Fallen, (1914) from which one stanza has come to be known as the Ode of Remembrance; recited at memorial services such as ANZAC Day and Remembrance Day. Eric Andrew GRAY: 20 October 1895 – 27 March 1918. Killed in action during the Spring Offensive in the Somme Valley, France. Wounded in action, Christmas Day 1917. Subsequently contracted illness and declared unfit for military service. Discharged 21 May 1919. 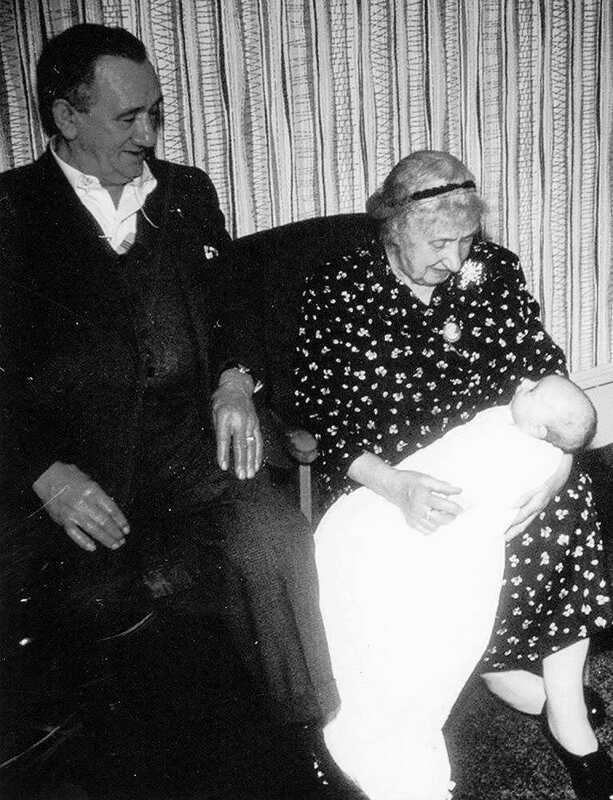 Wallace Oliver Gray, far right of photo, with wife Merle Matilda Wright and son Roger Gray. c. 1956. Photo: Gray-Dove family archive. 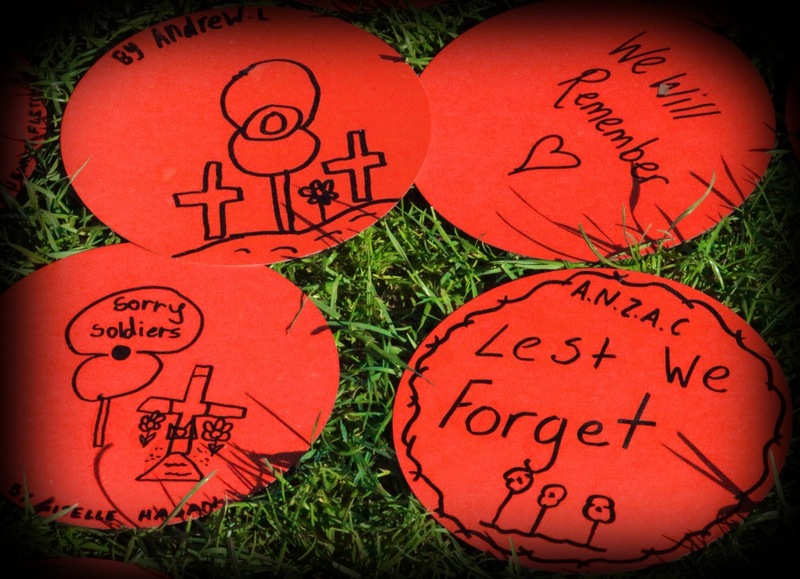 Hand-written cards of remembrance by Auckland school children. Thousands of these have been placed together to form the shape of a gigantic poppy on the field at Auckland Domain. Photo: Su Leslie, 2015. Information provided by Wallace Oliver Gray, 1892-1981, when he joined the NZ Expeditionary Force in WWI. My starting point, not only to try and understand his war, but also to map out this branch of the Big T’s family. 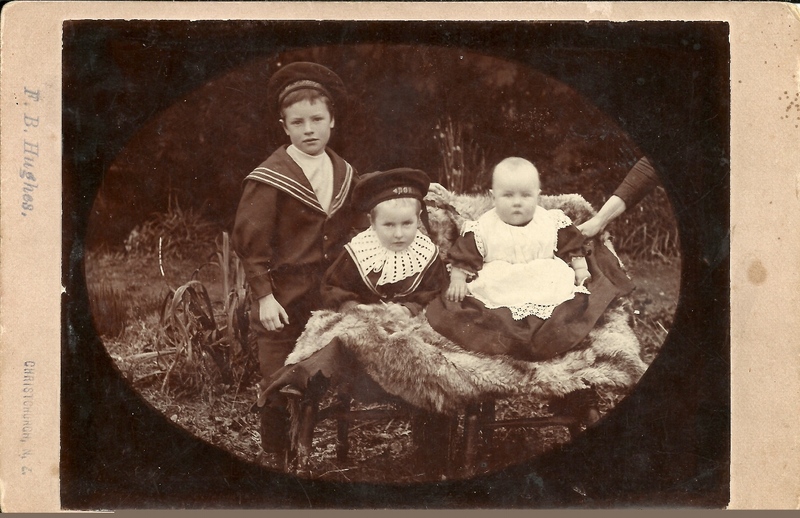 Image: Archives New Zealand. 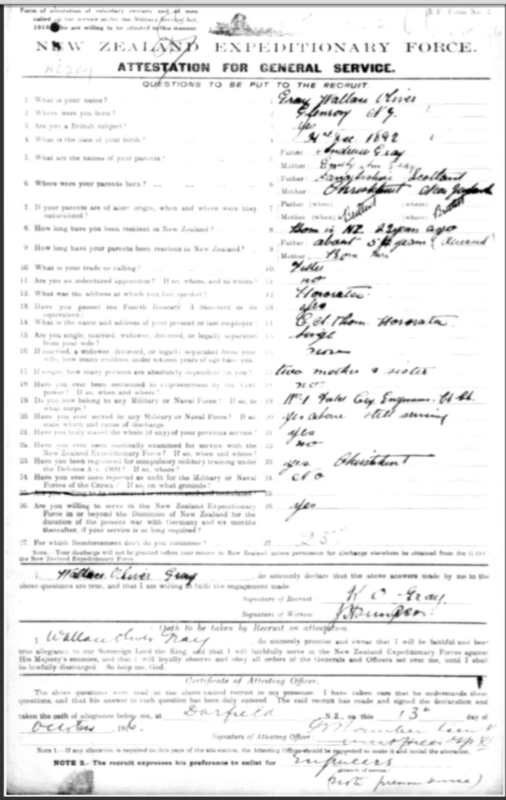 Casualty sheet: military service record of Wallace Oliver Gray. Image from Archives NZ. Having learned as much as I could about the military service and death of Eric Gray, I’m now ready to research the story of his older brother Wallace. Death of a soldier: 27 March 1918. The Spring Offensive, 1918. New Zealand soldiers who had fought in the area around La Signy Farm, Somme; close to where Eric Gray was killed in action a few days earlier. 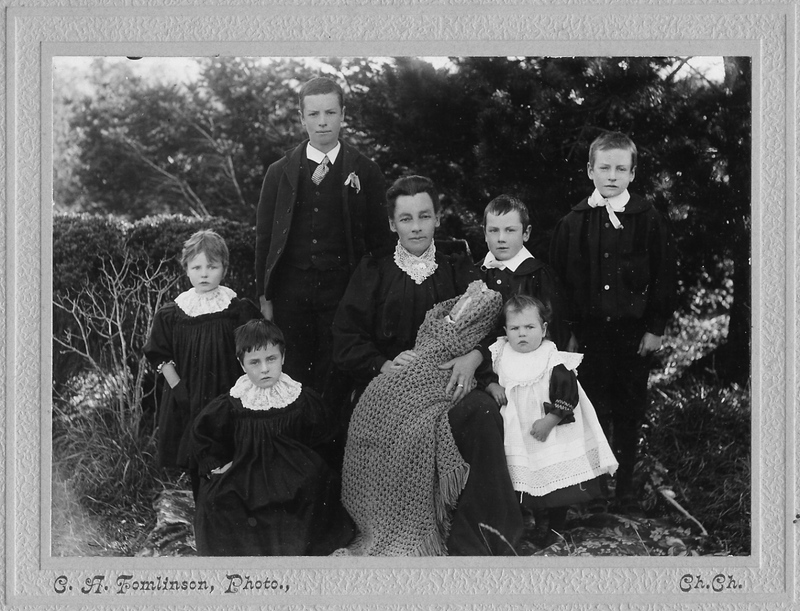 Photo Ref: 1/2-013089-G, Alexander Turnbull Library. 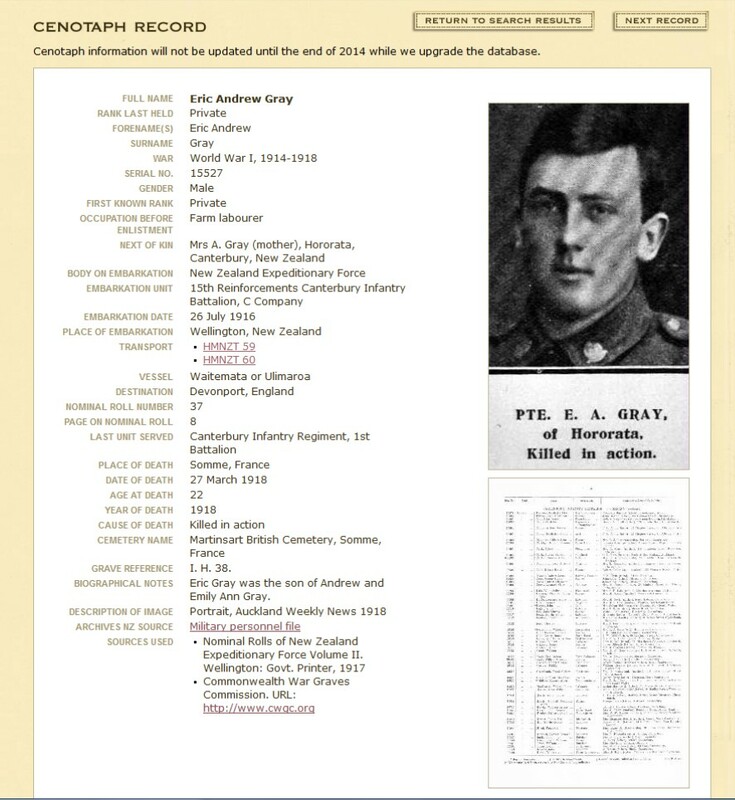 Ninety seven years ago today, the Big T’s great uncle, Eric Andrew GRAY was killed in action during World War I.
I’ve recently written a couple of posts about Eric Gray, prompted in part by being sent a letter he wrote in 1917 after the Battle of Messines. You can read the letter here, and what I’ve learned of his military service here. I originally began researching Eric Gray’s life on behalf of my father in law. 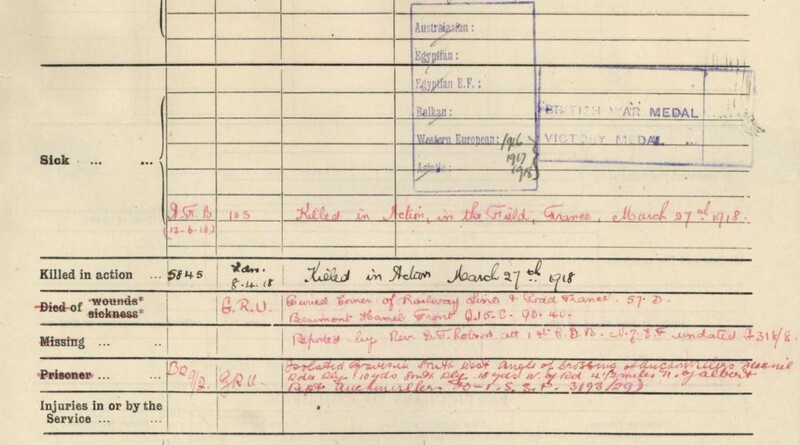 He had talked often of his uncle who had, he believed, “died at Ypres.” When I obtained a copy of Eric’s service record from Archives New Zealand, I found that although he had fought and been wounded at Messines (considered the beginning of the Second Battle of Ypres), he actually died in the Somme valley. Notes relating to the death of Eric Andrew Gray, from the record of his service with the New Zealand Expeditionary Force, World War I. Obtained from Archives New Zealand. Interpretation: why was he there? It took me a while to decipher both the writing and meaning of the text above, but even from the dates, and the reference to Beaumont Hamel, it was clear that Eric’s death was unrelated to the Battle of Ypres (which ended in November 1917). Knowing little about WWI, I had believed that the battle of the Somme had taken place in 1916, so I wondered how he came to die there in March 1918. Military service records identify key events in an individual soldier’s life (postings, disciplinary matters, wounds, etc), but don’t provide much of a context. To understand how Eric’s regiment came to be in the Somme Valley in March 1918 I needed a broader historical perspective. At the beginning of 1918, events had seemed to be turning the war in the favour of Germany. The collapse of Russia’s resistance following the Bolshevik revolution in November 1917 allowed the Germans to transfer more than 50 divisions to the Western Front. On the back of this influx of troops, the German high command launched a massive offensive with the goal of ending the war before the full might of the United States (which had entered the war in April 1917) could be brought to bear. The German spring offensives which began on 21 March 1918 created the biggest crisis of the war for the Allies. In Operation Michael, 60 German divisions attacked along an 80-kilometre front between St Quentin and Arras, punching a hole through British defences on the Somme and almost destroying the Fifth Army. In some places they advanced as much as 60 km, an incredible feat after three years of mostly stationary trench warfare. Retreating British troops set up a last line of defence around the city of Amiens, a vital logistics link between the Somme, Flanders and the Channel ports. Its loss would force the British to abandon the Somme, opening a massive gap between themselves and the French armies to the south, and cutting off the remainder of the British Expeditionary Force (BEF) in Flanders. The New Zealand Division, recovering after a difficult winter in the Ypres Salient, was among forces rushed south to the Somme on 24 March. Attached to General Sir Julian Byng’s Third Army, the New Zealanders moved into the Ancre Valley, taking up positions on the Somme battlefield of 1916. 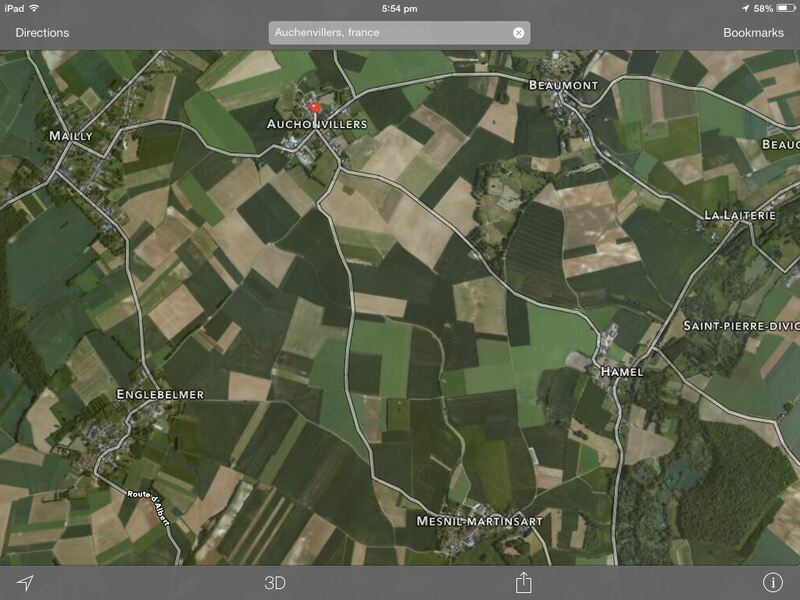 Over four days of desperate fighting around Mailly-Maillet, they managed to stabilise their section of the front, repelling a series of German attacks at Auchonvillers Ridge and Colincamps, and capturing 300 prisoners and 110 machine guns at La Signy Farm. These actions cost the New Zealand Division some 2400 casualties, including more than 500 dead. So my initial question was answered, and I set out to learn as much as I could about the circumstances under which Eric Gray came to be one of those casualties. For this I have again found Ferguson’s History of the Canterbury Regiment (1926, digitised and available free via the New Zealand Electronic Text Collection) incredibly helpful. It documents the movement and actions of the Regiment in chronological order. Events began on February 23rd with the regiment transported from Ypres to the village of Caestre, about 30 km away. There, the troops were engaged in training for almost a month. When the German offensive began on March 21st, the Battalion was (somewhat hastily) called to the front. The railway journey was by way of Calais, Boulogne, and Abbeville, and it was originally intended that the brigade should detrain at Edgehill, a railway siding to the east of Amiens, and about half way between that town and Albert. But when the first train arrived at St. Roch, on the outskirts of Amiens, at 1 a.m. on the 25th, the Brigadier was informed by the French railway officials that the train could go no further, as the track near the town had been destroyed by an enemy aircraft attack. At 4 a.m. orders were received that brigade headquarters was to detrain at St. Roch; and at 7 a.m. motor lorries arrived, and took the troops to Chipilly. a village on the Somme between Corbie and Bray. On arrival there, it was found that no accommodation was available; but orders were received from Division that the brigade group was to go on to Morlancourt and Ville-sous-Corbie, midway between Chipilly and Albert. The Division was now attached to the VII Corps, which formed part of the Third Army. It seems that fighting was heavy, and by the 26th, the Allied forces were forced to hold an increasingly long front line against a determined German advance. The Canterbury Regiment was part of a detachment holding a line east of the villages of Englebelmer and Auchonvillers, north of the town of Albert. At 2 a.m. on the 26th the first battalion of the Division arrived at Hédauville. .. After a short rest of four hours, this battalion was sent on to occupy Englebelmer and Auchonvillers and the intervening country, so as to cover the advance of the rest of the Division. There were at this time only four battalions at the disposal of the General Officer commanding the Division—the 1st Auckland and the 1st and 2nd Canterbury Battalions and the 2nd Battalion of the 3rd New Zealand (Rifle) Brigade. These battalions were formed into two brigade groups, the two Canterbury Battalions forming the 2nd Brigade Group, and the other two battalions the 1st Brigade Group. To each group was attached one machine-gun company. The groups were ordered to move forward at noon, and to fill the gap between Hamel and Puisieux. The map below shows the positions of the different battalions involved. From his service record, I know that Eric Gray was attached to No. 1 Company of the 1st Battalion of the Canterbury Regiment – in position 1C on the map. About 9 a.m. on March 27th the enemy began to shell the 2nd Brigade’s (to which Eric Gray belonged) line with field guns and light howitzers. The shelling was light at first, but it gradually increased in intensity, and extended to the battalion in support. By the end of the morning the shelling was heavy, and the enemy had added to its intensity by using light trench mortars and “pine-apple” grenades against the front line trenches. At noon the enemy attacked along the whole brigade front. 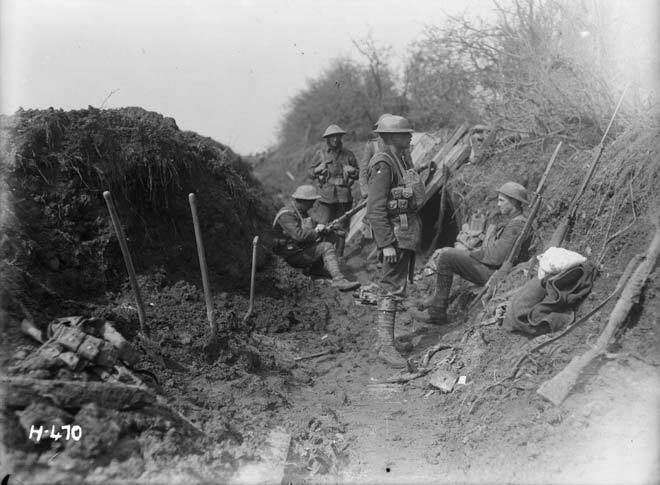 The attack was heaviest in the centre, against the 12th and 13th Companies of the 1st Battalion and the 1st and 2nd Companies, and others up the communication trenches, but they were beaten off by rifle and machine-gun fire; and although some parties succeeded in getting within bombing range, none reached our trenches, and the surviving attackers retreated to their original position. Several prisoners and three light machine-guns were captured. During this attack the brigade on the right of the New Zealand Division evacuated Hamel, and fell back till its forward posts were as far back as the 1st Canterbury Battalion’s support line. In order to restore the line, the 1st Battalion had to take over another two hundred and fifty yards of trench to its right. The shelling eased off at 1.30 p.m., and practically ceased at 2 p.m. During the afternoon there was much movement in the enemy back areas: but though a further attack seemed imminent, the remainder of the day passed quietly. The 3rd Brigade of the New Zealand Field Artillery arrived late in the day: and its guns were placed in position that night, and registered at dawn on the 28th. Throughout the day their shooting was excellent, and interfered greatly with the enemy’s freedom of movement: and the feeling of confidence, inspired by the knowledge of artillery support, did much to keep up the men’s spirits. There were no further enemy attacks during the rest of the month of March. This was no doubt in part due to the rain, which began to fall on the afternoon of the 28th, and continued over the end of the month. The trenches became in a very bad state, and there was a great risk of trench feet becoming prevalent. The front line troops took advantage of the lull in hostilities to block the saps, up which the enemy had advanced in the previous attacks. There is no way of knowing now exactly what actually happened to Eric Gray on the day of March 27th 1918. From the historical documents, I can see on a contemporary map the reported position of his company, and the remarkably detailed location for his burial provides reference points that might also be located on Google Maps. I have assumed from the burial information, and the fact he was later disinterred and reburied, that the initial burial would have been close to, or where, he fell. Eric Gray now lies in Martinsart British Cemetery, alongside a few other men from the Canterbury and Otago Regiments, as well as many British and Irish servicemen from a huge range of regiments, including the Highland Light Infantry, Lancashire Fusiliers, London Regiment, Royal Welsh Fusiliers, Royal Scots, the Cheshire Regiment, Sherwood Foresters, Royal Irish Rifles and even several men from the Royal Naval Volunteer Reserve. The vast majority of these men died in 1916, during the earlier Battle of the Somme. When I began researching Eric Gray, I was also studying for a Masters in Information Studies and doing a paper on Archives. For one of the class projects — an “elevator pitch” about the value of archives, the boy-child and I made this video about how archival information had helped me learn about this young man who went to war — and like so many others — did not return. I include it mainly as a thank you to archivists and historians everywhere whose work allows us to remember, but perhaps more importantly, ensure that we don’t forget.